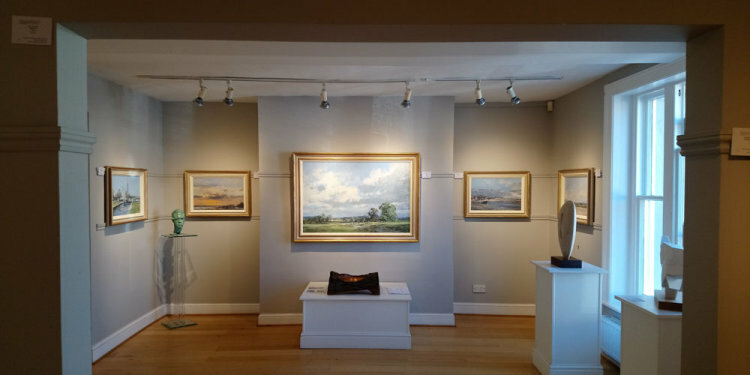 This exhibition brought together over 40 new oil paintings, a body of work inspired by Graham’s local region - East Anglia, together with paintings from some of his favourite places around the UK. East Anglia offers a unique landscape where the influence of the sky has been a constant source of inspiration for generations of artists. It is the main draw for Graham as well, where the atmosphere changes in an instant with the passing of a cloud shadow or the sudden appearance of a spotlight on a distant field. Born and raised in North East Essex he is always drawn back to the open landscape and big skies of East Anglia. “Whatever nature gives us or we build or shape, cannot escape the influence of atmosphere which links them all. That influence effects colour, tone, composition and shape and is constantly changing, sometimes fast and other times slower and our response often fluctuates accordingly. This continued development provides a wealth of subject matter for interpretation at any given place and that is the root of my inspiration, the purpose for painting and why there is always another painting to create." 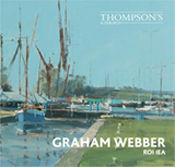 New paintings of East Anglia and beyond are featured in Graham's first major one-man show at Thompson's Gallery, Aldeburgh.